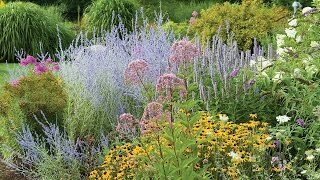 An excellent choice for its vividly orange blooms, these easy-to-grow, long blooming natives make lovely cut flowers and are magnets for butterflies, particularly Monarchs. Crown-shaped flowers form clusters up to 2" across. In the fall, upright pods crack open, releasing seeds glistening with silky hairs. This butterfly milkweed is perfect in meadows, wildflower gardens and as dried pods in arrangements. Sow outdoors in spring after last frost or in late summer. Asclepias may be grown from seed sown early indoors and transplanted outside after frost, or sown directly in the garden in summer, or grown from potted plants. Seeds benefit from being chilled for 4 weeks in the refrigerator before being planted. Sow seeds indoors 6-8 weeks before last spring frost date using a seed starting kit. Sow seeds 1/8-1/4 inch deep in seed-starting formula. In milder areas, sow directly in the garden after all danger of frost. Thin to at least 12 inches apart when seedlings have three sets of leaves. Select a location in full sun with good rich moist organic soil. Asclepias is sensitive to clay soils. Unpot the plant and gently loosen the root ball with your hands to encourage good root growth. Be careful as asclepias is sensitive to transplanting. Asclepias does not divide well as it has a tap root. To propagate, wait until the plant seeds itself (in this case do not remove spent flowers) and transplant seedlings when they are young. Note that butterfly weed is not the same as milkweed. While monarch caterpillars do occasionally feed on it, it is not their preferred food. The flowers, however, do attract the pollinating adult butterflies for nectar. Asclepias tuberosa, Butterfly Weed is rated 3.1 out of 5 by 26. 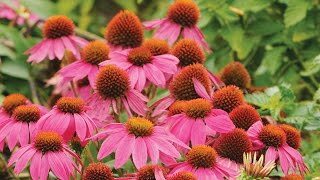 Rated 5 out of 5 by Shellnc from One of my favorite perennials I've read this is a difficult plant to grow from seed but that has not been my experience at all. Winter sowing in milk jugs works. I grew my first plant from seed years ago. I was never a fan of orange but this plant quickly changed my mind. I now have it all over the yard, all plants from seed. It blooms from late spring to mid fall if I deadhead it. Bees and butterflies love it and so do I! I can't say enough good things about this wonderful plant. Rated 1 out of 5 by Kimberlee from They sent a matchstick! I purchased one of these in April for my butterfly garden. I have been buying from Burpee for at least a decade and I trusted them to send a viable plant. They sent a stick, about 2 inches tall with about 8 hair-thin roots and a card stating that it was alive, but dormant. I'm a botanist- I understand dormancy, but this plant had no chance of surviving. Whoever packed it for shipment should have known that. I planted it in a pot and put it under gro-lights with the hope I could coax it back to life, but no luck. Shame on you, Burpee Seeds, for sending such a pitiful excuse for a plant! Rated 4 out of 5 by Kelkel181 from Surprised me I bought a packet of these last year, a few sprouted, they took a long time to germinate but I did get flowers from them. This year I planted some in a pot outside to see if they would sprout, it took a month to see germinate. So my best piece of advice is to be really patient and keep your soil moist. Rated 3 out of 5 by Smac from Dormant when shipped in Spring I wish somewhere it said that I if ordered in Spring I would receive a completely dormant (dead-looking) plant upon Spring shipping. We will see if anything emerges in Fall and I am guessing I will not even see flowers until NEXT Spring. How convenient that the guarantee runs out then. Rated 1 out of 5 by Bob5920 from Don’t waste your money I just received the 3 plants I ordered, paying ~$70.00 including tax and shipping, consisting of three 2in containers with no growth. I called and was told that they’re in a dormant stage and would start growing in 4 to 6 weeks once spring is here. Even if they do start (I have my doubts) paying $25 for a 2 in container is outrageous. Rated 5 out of 5 by Zone6 from From seeds to stars Typically when only 50%-75% of seeds germinate, it’s a great success. (The same success ratio holds for Major League Baseball players. Batting 500 is a rarity.). These seeds are literally All Stars. Nearly every seed is now a seedling, proving once again with a little care on your part, Burpee can deliver lifelong gardens for every budget.